Today marks five months since Ellie was born and died. It seems like it's been forever and just an instant at the same time. Craig and I think about her so much, right when we wake up and before falling asleep and at all hours in between. We're settling into our "new normal" - life that on the surface should be the same as it was before we knew we were going to be having a child, but isn't. We made space in our heads and our lives for our daughter, and that space is still there. We expected it to be filled with her, but instead it's filled with her absence and her memory. This holiday season has been hard. I've seen little "Baby's first Christmas" clothes, tv commercials with parents and their newborns, lots of family togetherness images in general. Just last week someone at a downtown store who hadn't seen me since I was pregnant asked me how my little one was. But we're healing, little by little. We can think about our wonderful Ellie and smile, though the smiles are still shaded with sadness. The sun seems to be shining more often, even though it's winter now. We have so much love for Ellie, for each other, and for our friends and family. And you guys have given us so much love and support. Thank you. 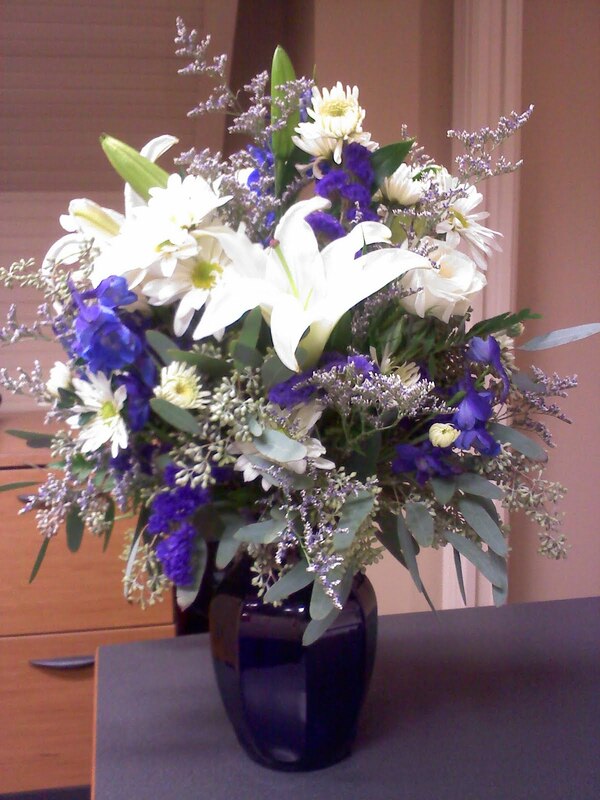 Our good friends Kevin and Katrina Graber surprised us with a beautiful bouquet today. This holiday season has been hard, but the love that we feel from you all has made it so much better. Thanks so much for writing this. I have been thinking and praying for the two of you as often as I think of you. I was given a book by a friend since I had my miscarriage. Don't know if you would been interested in reading it. It is called "Empty Arms." I was also given "Mommy Please Don't Cry." I think you might like to read them if you haven't already.